This is a sponsored post about Monterey County written on behalf of See Monterey. The love story and opinions are all my own. After reading my story, comment for a chance to win a complete trip package, including 2 nights at Monterey Tides, 2 tickets to the Monterey Bay Aquarium, and a wine blending at Joullian Vineyards. Monterey County holds a very special place in my heart. You see, when Mr. Misadventures and I first started dating this is where we went to. We were both working for the same company, and although the company was very family friendly with lots of married/dating couples who met on the job, we were not ready to let our new relationship public until we were sure it was the real deal. We had been colleagues/friends for a long time, but the whole dating thing was new. Our solution was to drive the short (and beautiful) 90-minute trip to Monterey County. I started falling in love with this region when I was in high school. My father was sent to language school in the Monterey area before the family was stationed in Spain. My mom and sister and I went down to visit a couple of times and I really loved the area. Every time I smell eucalyptus, even in the middle of the Douro Valley in Portugal, I think of Monterey. Driving to Monterey County from the San Francisco Bay Area south you pass a line of eucalyptus trees, when you come out on the other side of the trees, you are practically there! I was so pleased to be able to share this beautiful part of California with Mr. Misadventures as we got to know each other better. There is so much to do and see and eat that you can go every weekend and always have something new to experience. Monterey County was the prefect place to fall in love with my future husband. The first summer we dated was magical to me and I still cherish the memories. I consider it our pre-honeymoon. Yep, I made that up. And I think it should totally be a thing. I could share many of our weekend trips, but you know we are foodies at heart, so that’s where I’ve got to start because Monterey County has amazing food and wine. 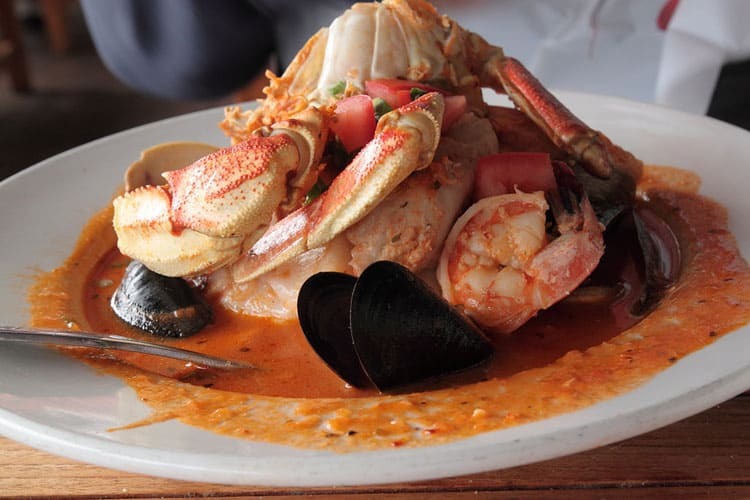 Some of my favorite memories include introducing the new boyfriend to cioppino at the famous Phil’s Fish Market in colorful Moss Landing. This dish is a classic in Northern California, but Mr. Misadventures had yet to try it. With fresh seafood from the catch of the day and a little dash of tomato broth, a nod to the Italian immigrants who created it, there was nothing that my future hubby didn’t love! Mr. Misadventure would also like you to know that Moss Landing is a premium place to spot otters as well. The otters that live in Monterey County are a unique species that lives no where else on the planet. The famous Monterey Aquarium, the BEST aquarium in the United States, helps lead efforts to ensure these adorable furballs remain protected. My husband and I have been together fourteen years. We’ve lived in the San Francisco Bay Area, then in France, then back to the San Francisco Bay Area. Mr. Misadventures is French and I am a francophile and I can tell you the best croissant in the world can be found in Monterey County. Look no further than Patisserie Bechler in Pacific Grove. The Alsatian baker and his family have mastered the art of French pâtissier. Go early to get your hands on one of their decadent creations. Pacific Grove also has the best burger in the region at the Red House Cafe and the best fish-focused fine-dining restaurant, Passionfish. Besides great food, this charming little village is home of the Monarch butterfly and you mustn’t miss the opportunity to see this noble creature at the sanctuary. It’s perfect for walking around and check out the cute homes (the two restaurants I mentioned are converted houses) and lighthouses as well. As we were cementing our relationship many of our weekends were spent in the town of Monterey. We’d picnic on the beach, walk through shops and historical streets, and visit the aquarium. We also started a quirky tradition, doesn’t every couple have at least one? Mr. Misadventures had never been to the south of the United States (we’re actually getting ready to head there in the RV tomorrow) so he was unfamiliar with the food. On one of our weekends in Monterey I dragged him to Bubba Gump’s! We ordered strong margaritas (because hey, that’s what Californians do!) along with shrimp boil and hushpuppies – two foods that were completely foreign to my Frenchie. Given the fact that Mr. Misadventures had never seen Forest Gump, the decor and the trivia was totally lost on him. It’s kitsch and silly, but that is one of our Monterey memories. After that weekend we rented the movie and now when we go back to the restaurant from time to time, we quiz each other. Also that night I think the hubby had one too many margaritas because on the walk back to the hotel he accidentally proposed to me! If you are a bookworm like I am, then you might have read any number of John Steinbeck books including Cannery Row set in Monterey in 1945. At that time, and for many decades to come, Monterey was a major sardine supplier. 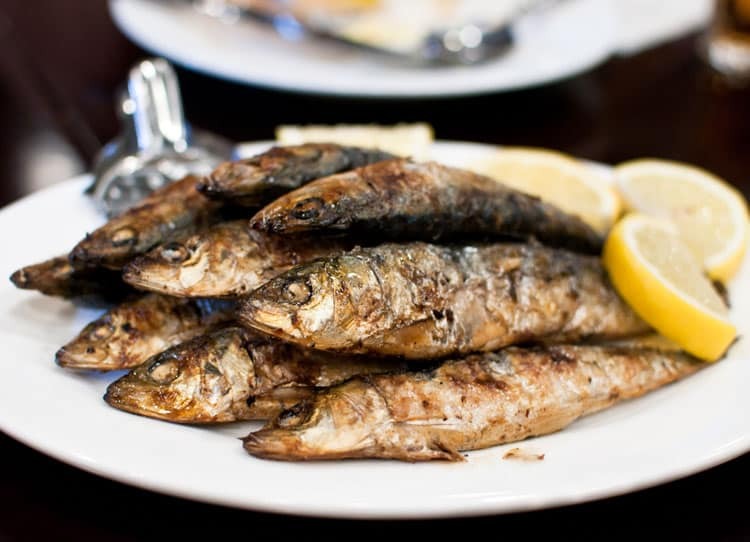 You can still buy canned sardines in the area, but if you are a fan of this tasty little fish (like we are) do not miss fresh grilled sardines during the season (usually April through June). 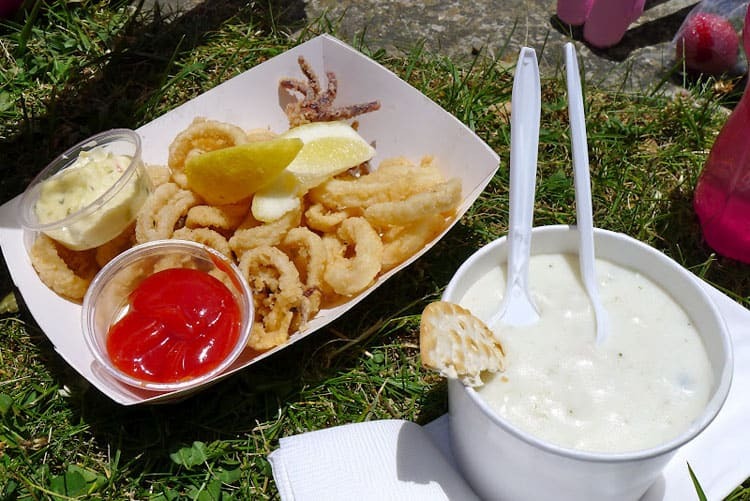 Also, Monterey has an awesome Clam Chowder and Calamari Festival over Memorial Day Weekend in May. If you like these two seafood dishes you will LOVE this festival! Fried calamari anyone? 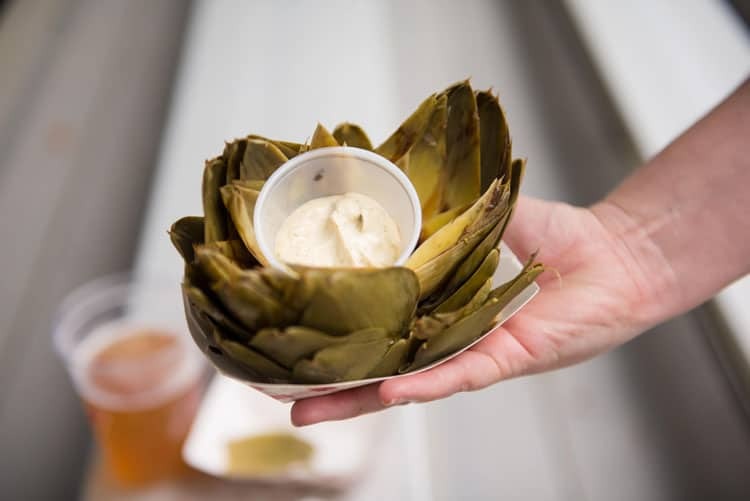 Stay a few extra days and catch the Artichoke Festival in Castroville, the artichoke capitol of the world! The festival is typically held the first weekend in June. If you don’t make the festival you can still drop by one of the farm stands and buy an armful of these delicious green jewels. Isn’t Monterey County a great place to date? Especially if you are a foodie!! It is not all about the food (okay for us, it’s a lot about the food!). It is a VERY romantic area. The epic views from Highway 1, the sunsets in the bay and on the beaches up and down the coast, it screams romance. The one spot that holds the sweetest memories for us is Big Sur. It was the location of our first date. Our very first date was at the Big Sur River Inn. It was the beginning of the summer so it meant the start of jazz weekends at the property. 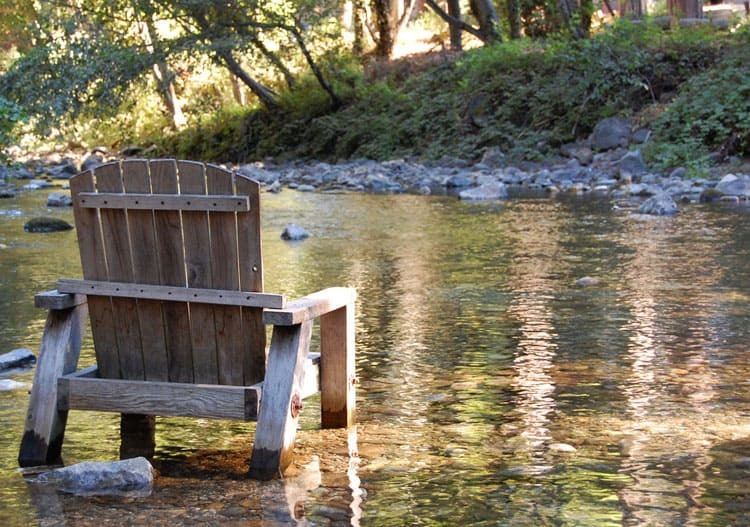 The back of the inn flows into the Big Sur River with its famous wood chairs that sit right in the water. With jazz playing in the background we ate an unforgettable lunch, a black sesame crusted ahi tuna salad and fried calamari. We have returned many, many times to have this same exact meal. For a post-meal coffee we headed to Nepenthe for drinks at Cafe Kevah. The views from this rooftop bar are stunning and it is one of the best spots to see the sunset. Perfect days are pretty hard to screw up in Monterey County. We’ve had so many great days there. It is “our place” and it’s where we fell in love. I have never met anyone who doesn’t feel the same once they’ve visited. I want you to have a chance to visit! I have partnered with See Monterey to bring you the opportunity to win (1) complete trip package, including 2 nights at Monterey Tides, 2 tickets to the Monterey Bay Aquarium, and a wine blending at Joullian Vineyards. > Have you been to Monterey County? What was your favorite thing about your visit? 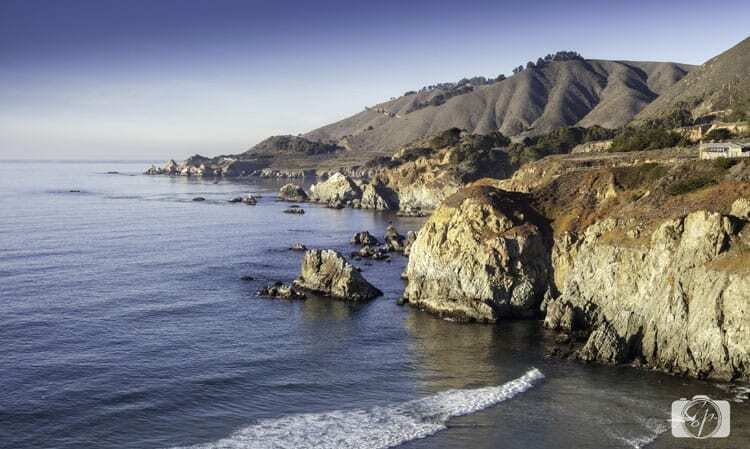 > If you haven’t been to Monterey County, where would you like to visit? > What is a special spot/location that you visited while dating your current spouse or loved one? > Do you and your significant other have a special meal that you relive/re-eat? Once you’ve entered take a look at the See Monterey website and start planning! Oh, what a great love story, Andi! However, I want to know more about the “accidental proposal”! I too have a love affair with Monterey County, in fact, we were just there last month! We spent two night in the city of Monterey and enjoyed all that wonderful seafood ourselves (went with my husband and daughter before she went back to uni). We went to the aquarium, but ended up staying until it shut and was disappointed that we had to leave as we wanted to stay longer (it wasn’t my first time there, either)! We also stopped in Salinas for lunch, which was lovely. I’m crossing my fingers and toes as I’d love to go back to Monterey! Love comes naturally when in a setting as lovely as Monterey. Iwas there about ten years ago. I escaped from a seminar and had the best time ever. Friendly people, amazing natural beauty, great food and the incredible aquarium. It made going home to NY that much harder. I am a chef by trade so all food and wine is by it’s very nature meant to be together., equally my wife is learning about food all the time and I try and encourage her to try everything because to broaden one’s taste buds horizons only betters them. Of course that means we get to spend more time together. I would love to start an adventure in the Salinas Valley at a Food and Wine festival and see where her taste buds can take us. Awww such a sweet love story! 🙂 I’ve never been to Monterey County but I would love to share this beautiful place with my hubby. I definitely would want to check out the 17-Mile Drive. The scenic route looks beautiful. Thank you for a lovely giveaway! The hubs and I bought a van, loaded up the dogs and headed out west. We absolutely loved it! However many of the “normal” tourist things like going to the Aquarium, Cannery Row, many other things since we had the dogs with us. Having the opportunity to realize those awesome things would be great! The one activity that we all loved was hanging out at Moss Landing. Watching the seals and shopping was a memorable. What a great place to fall in love! I haven’t been up to that area in too long, but it’s my kind of place with open space and great restaurants. I’d love to get back up there and explore it all! I haven’t been to Monterey County but I’d love to visit with my boyfriend of 16 years. I know we’d want to visit the Monterey Aquarium, and spend time in Pacific Grove, based on your description. We like to eat out, and it sounds like it might be a nice place to stroll and shop. Being from the East, we’d also have to drive the scenic highway to Big Sur and make sure that we experience a beautiful sunset over the Pacific. It would be the perfect romantic getaway for us. I’ve been to Monterey County, but it was a long time ago. I loved the beaches and the quirky shops in the area. My grandson asked if we could go to the beach next summer and we’ve already made plans to go to Monterey! went there 10 years ago and really liked Carmel by the sea. Went on a singles holiday and met my wife there on the tour. We enjoyed seafood chowder and she makes it at home on our wedding anniversary. We were facinated by clint eastwoods old house there-it’s such a great location. What a sweet story! i passed through Monterey for the first time earlier this year when I was doing the Highway 1 road trip. It was stunning and I can’t wait for a chance to go back and see more of it! Great story, would love to go and see all those places. Hubs n I have NOT been to Monterey or the Big Sur area. They have both appeared on our list when looking for a fun getaway though! I have spent some time looking at the fantastic restaurants and cute places to stay! I am living vicariously through you. Love your blog, Instagram and all and wish hubs and I could jump and do this!! Living life on your own terms!!?? I would love to visit Big Sur, it looks absolutely stunning! How romantic! My husband and I have never been to Monterey but we would love to visit and we would really enjoy driving the 17 Mile Drive. Never been to Monterey but would love to visit all the places mentioned. I love Monterey! My favorite thing in the area is the Otters at the aquarium, and eating oysters. I visited Monterey about 15 years ago and absolutely fell in love with the place! I can still remember the feeling of peace and exhilaration I experienced in Big Sur. I have often thought about going back and making new memories and introducing my children to the area. I know they’ll fall in love with it just like I did! Lovely! We made a stop at the big river inn in Big Sur in a road trip once and we loved it! You can’t beat relaxing in the river! Yes, I have been, and have really been wanting to go back lately. I love the aquarium….it’s the best one around! 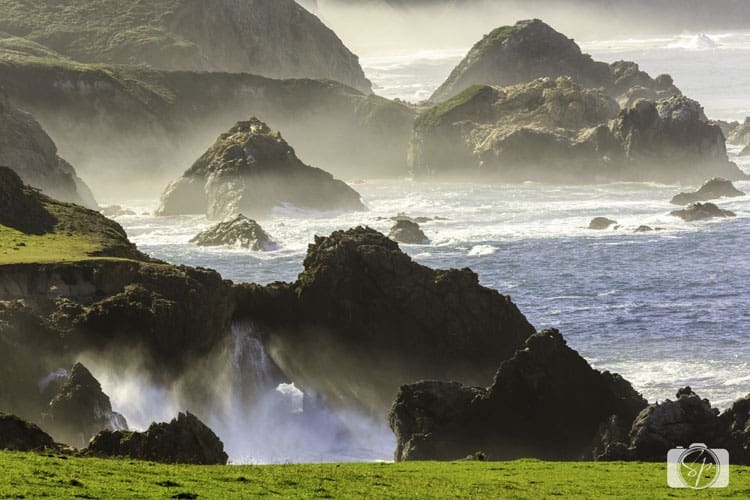 I have never been so I would love to visit the Big Sur, it looks beautiful! I have been to the Monterey once (approximately 25 years ago). My husband and I visited then along with our teenaged children. It is a lovely area. I would love the opportunity to go again. Your post is a great endorsement. I imagine everyone reading your story and seeing your photos now wants to go. What a beautiful place! Monterey Country is really beautiful I want to go there soon with my family. An artichoke festival??! I think you might have found my Mecca. All of the food looks amazing, and those pictures are incredible. I am definitely adding this to my list of places to visit. I lived in Monterey County for 3 years and I miss it. I want to go back! I loved Point Lobos, Carmel, the people! My husband and I used to go to a local hiking trail. That is where we went on our first date. I love your story! I have never been here, but I always wanted to go. I love seafood. Your pics made my mouth water. Thank you soooo much for offering this to us. You are a great writer, and I love your blog! I have been to Monterey and loved it. Would love to go back! I have not been to Monterrey.. I would love to check out Pacific Coast!! I visited Monterrey about 20 years ago with my daughter. It was just a day trip we took from San Francisco, but it was wonderful. I mostly remember the Aquarium which awed us over and over again. I’d love to go back! My kids love the Monterey aquarium and I think the food there is awesome. I have been to Monterey at the invitation of a kind handsome stranger, and with an ex-boyfriend who was not in the mood to be there. When my son worked in Salinas I went there every weekend to see him. Many times alone, it’s a place for solace, and as my sister says, God is there. I need to return, I will return. I am trying to retire there, if I am lucky. Was invited by someone I didn’t know well to spend the weekend, and it was heavenly. Have made many trips down there alone, while my son worked in Salinas and I waited for him to get off work. Raised in Italy, Monterey is home away from home for me. I need to return, I need to retire there for peace of mind. As my sister says, God is there. You can feel him. I would LOVE to visit the area and see everything I could – I would love to see all that there is to see in whatever time I would have. While dating my spouse, we visited Monastery Beach. It’s just a beautiful,peaceful beach. We had a romantic picnic on that beach and 17 years of marriage later and 1 son, we’d love the chance to recreate that again! We don’t get much alone time.Thank you! Big Sur! The coast, bay, any and all! I’m a distance runner and appreciate the gift of legs n lungs to run outdoors. I’m able to see so much more being right there amongst the beauty. I’d run every day in a new location, trying different foods and drinks post run. Thank you for this opportunity! My husband and I met in Monterey in 1996 while both students at DLI. He actually proposed to be on Asilomar beach. One of my favorite things to do there is visiting Point Lobos state park, I could spend hours there. We have been back once since then and enjoyed it even more. I would love to go back again! My mom would love Monterey!! She hasn’t been to the Pacific Coast, and if I won I’d let her go for sure! This would be an experience for a lifetime. Seeing otters would be so cool. That seafood is calling my name. I want to see the cute otters and Big Sur. If you haven’t been to Monterey County, where would you like to visit? Our favorite place is Carmel-by-the-sea. We always eat lunch at Dametra – amazing Lebanese food. You also can’t beat the view from the restaurant at the top of the Post Ranch Inn in Big Sur. I haven’t been there in years, but every time I have been there I had a blast. Its a very nice area with plenty to do. I have driven through Monterrey county, but I would love to go for a much longer visit! We have been to Monterey Country many times, and it is just as magical as the very first time we visited. The sunsets are stunning, the towns enchanting, and the food is swoon worthy. We never tire visiting the aquarium. Gorgeous! I would love to visit. I don’t like seafood though so I’d order things without it! But the rest of my family enjoys it. Wow, what a fabulous story! 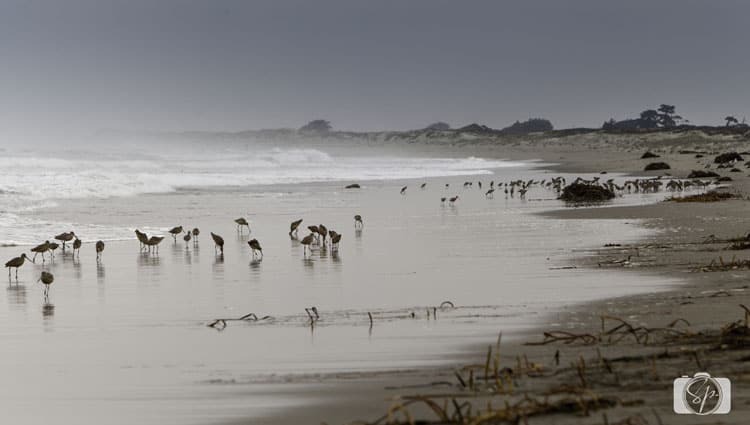 The accompanying photos really help spread the magic of Monterey County! I’ve never been, but would LOVE to go! My significant other and I are avid runners, so we’d undoubtedly take a long run, exploring the beaches and town, and then get to eating! He loves artichokes, and I’m a sucker for fresh seafood. We also love our wine! Crossing my fingers I get a chance to experience Monterey County! I had my first sand dabs in Monterey, delicious. I also love the aquarium. I have been to Monterey before…I loved being able to whalewatch and lots of those Castroville artichokes. My husband and I met in graduate school in Eugene, OR, which can be a cold, rainy place. When we lived there, he introduced me to Vietnamese pho soup and now we always enjoy that on snowy, glum days here in NYC. Everything there look so amazing! I’m in love just with those pictures. I have to go there someday. Oh, I would LOVE to go here! What a great vacation spot! Would love checking out the artichoke festival! What a beautiful place! I’ve never been there but it looks amazing. I love your story! My fiancé and I have never been there. We were actually long distance much of our first year of dating. I was in alaska, so that is one of our favorite places to visit. he got the chance to come several times, and we share so many memories there. I’ve never been to Monterey County but if I was able to visit one day I would love to visit Carmel-by-the-Sea with it’s lovely shops, fabulous restaurants, cozy inns as well as its fine art galleries. I would also love to visit the beautiful Carmel Beach with its powdery white sand! I have never been to Monterey County, however, if I ever did get the opportunity to visit, I would love to visit Big Sur! I have never been before! But oh I would love to go so badly! I heard the aquarium is to die for! It would be a wonderful escape for my husband and I! Thanks for the opportunity! I love your story! Monterey is so beautiful! A very unique and wonderful place to visit. I went there years ago with my husband when we were first married. Its very romantic! I HAVE NOT BEEN TO MONTEREY,I WOULD LOVE TO VISIT ALL THE CITES IN MONTEREY AND ACITIVES!!!! Monterey is a great place to take the family for a weekend, or longer. I haven’t been yet but would love to go. Thanks for the chance. I was born just a little way from there in Salinas. Haven’t been back for a long time. Always loved watching the sunset from the beach. I have visited Monterey In the past, We absolutely love Canary row shopping and the Aquarium! I would love to visit again and take my daughter! Sounds awesome! What I wouldn’t give for a couple days to just getting away from everything! > Have you been to Monterey County? What was your favorite thing about your visit? – Yes I drove from SF to LA and stopped on the way. I went in 2012. I loved it. It is a super classy town with a extraordinary aquarium (and the otters outside were super cute). ~I stayed close-by at the half moon bay – in an old lighthouse – it was amazing. The best thing about CA is the bear flag, the Monterey Bay Aquarium and the cheap dim sum in Chinatown SF. I absolutely LOVE Monterey CA. I met my fiance in Morro Bay and trips through Big Sur are something we haven’t done since we had our daughter. I absolutely love all of Central California and could only dream of visiting there and showing my daughter the beauty of Nor Cal. What a great place to visit and to explore like this! I know my family would love to visit and explore this part of California. I absolutely LOVE Monterey CA. I met my fiance in Morro Bay and trips through Big Sur are something we haven’t done since we had our daughter. I absolutely love all of Central California and could only dream of visiting there and showing my daughter the beauty of Nor Cal. We have no special dish but I’d love to indulge in some delicious wine. And you hit the nail with the aquarium. It would be my first stop then the beach!! I love Monterey. I’ve been many times and love the ocean and food. I have been to Monterey County many times and love it! I don’t know if I can name one favorite thing–there are so many. I will say that every time I go, I feel so energized! That’s my favorite thing–the energy I feel when I’m standing on the beach. What is a special spot/location that you visited while dating your current spouse or loved one? One spot I can remember best is a hotel in Trindad I visited with my wife on our honeymoon. I haven’t been there in the past 20 years. I took my son there when he was 12 to show him some of my favorite places. We stopped in all of the important places including Big Sur for lunch and some shopping. Then to Carmel where we had to eat at the Hog’s Breath Inn (one of my old favorites). Then on to Monterey where we had to stay a few days to enjoy the aquarium, Fisherman’s Wharf and a cute little beach with rocks to climb. I have never been, but I would love to!! I would absolutely love to go visit one of the spas Monterey County has to offer, go scuba diving or horseback riding! The special location I have with my husband is a cottage/winery about 45 minutes away. We have two kids so we were going there for our “one night honeymoon” away. Little did we know, we’d have to drive all the way back at 2 a.m. for our son! That was cut short, but we loved it there. A meal I would like to re-eat is a sushi dinner with cocktails that my husband treated me to years back. Wouldn’t want to relive the bill though! I have been to Monterey County and my favorite spot was the aquarium. I have never been to Monterey County and I am interested in visiting the aquarium. I always had a fascination with the marine life. I love Monterey County! I’ve been a few times, and my favorite part was Custom House and the wharf! I visited Monterey this past September. Great restaurants, beautiful scenery and great birdwatching. I have never been to Monterey Country but it looks breathtaking! I would love to try the local fare, the food looks divine! The food & views look unbelievable! Me and my husband visited while passing through California. I enjoyed the beauty of the coastline and watching the sea lions. We went out on a whale watching your but I got sea sick. I would love to go back and watch the whales, but this time I would definitely take dramamine. We ate at a wonderful seafood restaurant also but I can’t remember the name. Such a sweet story! The area looks amazing, would love to visit with my husband! I have never been to Monterey County before so I would love to visit Pacific Grove to enjoy the delectable cuisine! This looks like an amazing vacation location. Wow. I met my girlfriend in Yellowstone this season. Be a nice get away for us after the season is over. I absolutely love Monterey! We have visited several times. The food, the weather, and the beautiful scenery were my favorite. I lovee the otters too. We have been to montery and it is beautiful. We would love to have the opportunity to visit again. What an exciting life you have. Three years ago we made a Pacific Coast Driving trip and loved the coast. We would really enjoy revisiting a wonderful Greek restaurant in Carmel. I have never been there. I would LOVE to drive 17 miles to sightsee and visit shops! We have never been to Monterey County. It all looks amazing according to your photos. Would love to take my dh th there. 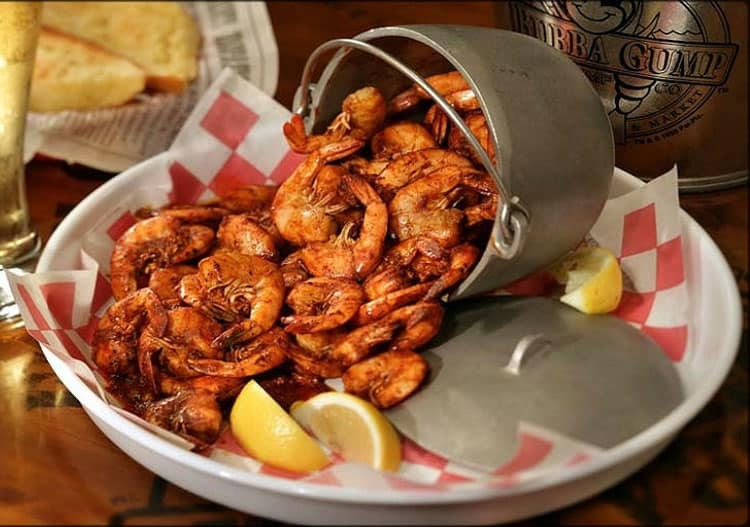 We would enjoy taking in the sights of the ocean and the bounty of seafood that comes from it! I haven’t been to Monterey county since I was a tiny girl! I would love to go back and share the experience with my husband. I’ve never been. It looks like a wonderful place to visit and all the food looks amazing. I have never been there. I would like to check out the beach. Monterey has always been a very special spot for me! The ocean, the sea life, the aquarium and beautiful town! Thanks for the chance to win! ? Never been there. Would love to go. I want to have a love affair with Monterey Bay just from reading this post! Thanks!! I have never been there. I love all your pictures though! I have never been to Monterey, but I would love to go to the aquarium. It’s been decades since I’ve been to Monterey County and I’ve been wanting to visit again! I loved the aquarium. 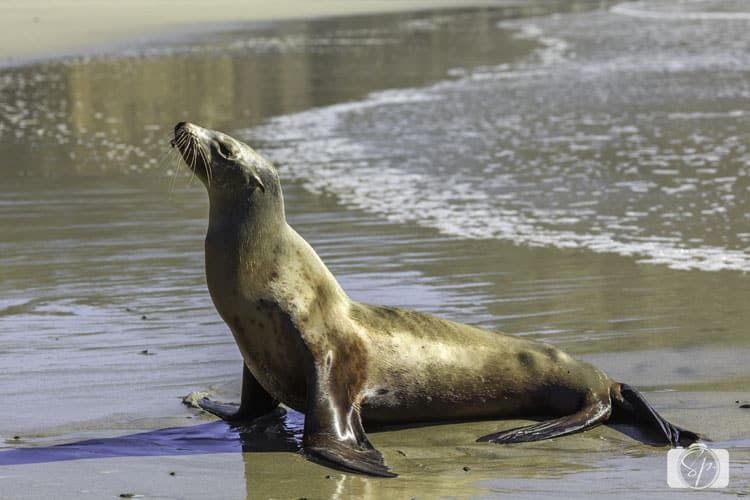 I’d love to spend time meandering along the coast with my camera… sea lions, otters, ocean views… not to mention that the bakery you mentioned is calling my name! I”be never been to Monterey COunty, would love to visit Big Sur and the Aquarium would be wonderful also. How serene and beautiful! I would love to visit! I love Monterey I Haven’t been to the aquarium yet but it is something I look forward to do. I love your love story. My best friend lives near there and she dreams of falling in love and one day her boyfriend proposing to her there in Monterey. It is absolutely beautiful there and there is so much to do. I totally understand the foodie thing. lol! I personally have never been to California but would absolutely love to visit there. Thanks for the chance! Have you been to Monterey County? What was your favorite thing about your visit? I have been to Monterey. I drove the 17 miles and visited the golf course where so many get married. It was beautiful. I also visited the aquarium and we all went out for lunch. It was all so beautiful that I would love to go back again! Thanks for the opportunity! I have never been to Monterey County. I would love to visit Big Sur. The scenery is absolutely breathtaking! I would definitely love to try the delicious seafood as well. I love Monterey and the whole area. Lots to do, see and enjoy!! Never been there but looks beautiful! Ugh this looks so amazing. I’ve never been to CA but here’s another thing to add to my place. What a beautiful story. I have only ever been to California twice and that was to visit my husband’s mother and we went to Knott’s Berry Farm and we went to the beach and that’s about it. I would love to share an experience like that with my husband especially because we never had a real honeymoon. I hope you get to enjoy more things like that in your lifetime 🙂 sounds wonderful! I visited Monterey in the 80’s and would LOVE to visit again. It seemed like a magical place to me. I would really like to spend a few days in the area. I have been to Monterey. It is one of my favorite place to go for a small vacation. The people are pretty friendly, and the weather is very nice. There are a lot of great spots to eat at and some many spots to enjoy the beach, waves, and sand. We always go have a slice of pizza my heart we enjoy it very much. And we also squeeze it a seafood meal, we try to experience new restaurant each time we visit. Incredible and sweet. such a beautiful place. I have never been to Monterey County but I would love to go. The first thing I would visit would be the beaches so I can relax before exploring other attractions. Hiking in Big Sur is the best. The farmers market 2 blocks from our hotel was a nice surprise. Thanks for sharing your perfect Monterey days! I’ve never been, but would love to visit! I would love to try all the yummy foods and see all the beauty this place has to offer!! It’s been a long time since I’ve been to Monterey – After reading your blog – I know it’s time to go back! I visited Monterey when I was 11. I would love to go back and experience and appreciate all the adult pleasures! We have never been to Monterey but would love to go to Big Sur. We have not been away in the 24 years we have been together except for our honeymoon 14 years ago in the Keys. Between the his, hers, and our kids there have not been the funds or the time over the years. To get away for us would be a dream. We do however, on our anniversary always go to the seafood store and load up on crabs (different kinds), shrimp. and other seafood and make a huge seafood combo for just us. I have been to Monterey with my mom years ago and absolutely loved it. It was a cute, quaint and lovely town. The aquarium was fantastic and so was the whale watching we did. This would be an fantastic and amazing experience to have with my fiancee. Looks like a beautiful vacation place. Never been, would be a great way to celebrate our 15th anniversary coming up on the 19th of October! I love the California Coast and Monterrey is gorgeous! Wow! Looks so beautiful, would love to visit that area. I had the pleasure of visiting Monterey one time. We had a quick trip but it is a place I definitely want to revisit! We loved the aquarium! The weather was a little cool and breezy but we did enjoy a bit of the sand. I have not been but would love to take it all in!! I would love to visit that area. There are so many things I would love to do here – I have never been! The aquarium looks amazing! How fun! 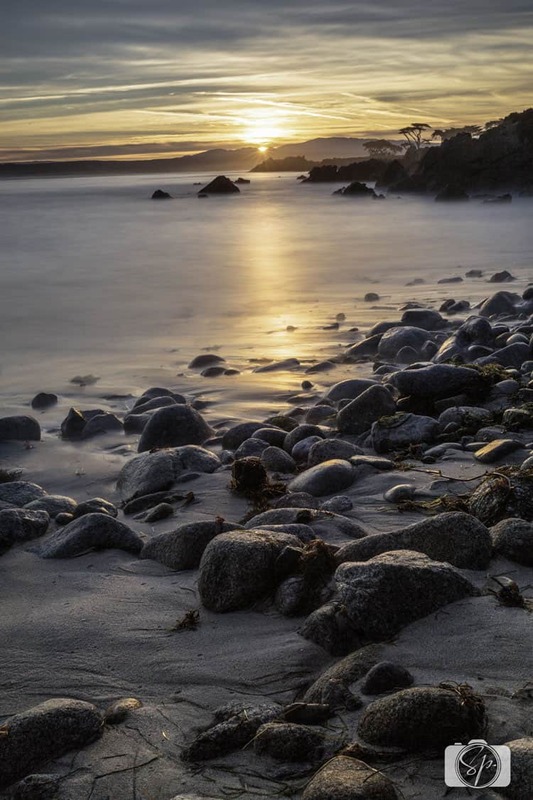 Such amazing photography of the area, I love Monterey Bay, a trip there would be so much fun. I once did a walking tour of Cannery Row that was so interesting, lots of incredible history there, the guide/historian pointed out so many fun things including Steinbeck references. What a beautiful place! I love visiting there. It looks like you had a great time! What a wonderful story to share and such GREAT photos too! Definitely a trip you will never forget! I have never been to Monterey, but the aquarium looks amazing and would be something my husband and I would love to go to! I’ve never been but it looks amazing! That seal though! I’d love to visit Monterey, I’ve never been there. Your story is amazing…and the pictures make me want to book a trip immediately! I would love to come and visit. It will be our 20 year wedding anniversary and this trip would be perfect to renew our love!! I have never gone but the aquarium there looks amazing and I have been wanting to go for a long time now. Wow! Priceless, Romantic and God-send! Thanks for sharing such a lovely story. I love Monterey! Grew up in California, moved to Colorado (which I love), but I do miss the ocean! This would be awesome to win. My husband and I could really use this. Would love to visit have not had a vacation in over 10 years! This looks so romantic for couples! We’ve been to the Aquarium twice. I have never been to Monterey or anywhere in California but, I sure could use a vacation and this would be on my bucket list! I’d love to visit pebble beach! I’ve never had the fortunate opportunity to Vista Monterey. I currently live in Marin County but would love to spend time at the Monterey Aquarium, Cannery Row, eat deliciously fresh seafood and take in the breathtaking scenic views ???⛱?⛵????? Monterey looks wonderful! I would love to visit. Someone brought me T-shirt with an otter on it back from Monterey one time. I have never been but would love to see the ocean & definitely the wineries! When my wife and I moved from Seattle to Tucson, we drove down along parts of the California Coast–but since we were moving, with a car full of belongings (including two parrots in their traveling cages), we didn’t have time to linger…We did stop in Salinas to visit the Steinbeck Center, but didn’t make it to the coast… Can’t wait to go!! Never been would love to go!!! Love to visit Big Sur looks stunning! I love going to the beach with spouse and enjoying the sunet. Great post. Monterey is beautiful! Great post and thanks for sharing about such a special place for you and your husband! I only visited Monterey twice as a child on a California coastal road trip, but I totally fell in love and can’t wait to go back for a visit! I remember how beautiful the beaches and coastline were, and how awesome the aquarium was! Would love to go revisit both. The Central Coast between Santa Barbara and San Luis Obispo are special to my husband and me, as we would make road trips while dating. Monterey was a little bit further to venture for us being in San Diego, and limited to traveling on weekends sometimes, but you just gave me many reasons to plan a trip soon. Aquariam would be awesome too! Thanks! What a great story and the photos were fantastic ! I used to live in Monterey and I miss it so much. You named many of my favorite spots. We were married at Lover’s Point in Pacific Grove. Monterey County is a fantastic place to visit! This is the cutest love story and it has the perfect backdrop too. Its amazing that you found each other and still continue traditions like going to the same place that you went on your first date with. Sweet… I have never been but hope to go one day. My fiance and I love to re-recreate our anniversary meal, which consists of champagne, grapes, and pasta! This looks absolutely lovely…between the scenery and food, wine I don’t think I would want to leave! The favorite meal that my husband and I love to relive is crab legs and Proseco. We had it on our honeymoon in Orlando and it is our special meal! Going to Monterey has been one of our favorite trips. I was stationed in the Army at the Presidio of Monterey in 1983. I’d love to go back and visit the area. I love Monterey. I had the best seafood dinner in my life; it was sand dabs. They were magnificent. I love the aquarium and especially the seahorse room. My hubby and I would love a romantic trip! Thank you! I have never been to Monterey but it looks beautiful, and all that FOOD!!! Myself, my daughter, and my boyfriend are all foodies. Well, especially me and my daughter. He jokes about how we base everything on what place we like to eat nearby. But we’re turning him into “one of us”!! Would love to win the trip and get to try some of those dishes!! This is so beautiful! I really hope the person who wins enjoys their time. Make sure to post some pictures! I would love to visit Monterey! What a beautiful images! ! On my bucket list! My husband &’I loved Monterey. We stayed in the area for 9 days and saw so many beautiful places and, of course, being a food blogger,loved all the food. Enjoyed a whale watching trip, the aquarium, the farmers market and so much more. Loved your story and passion for the area. It’s been awhile since my last visit to Monterey, but I remember the aquarium vividly. It truly is a treasure. My husband and I traveled to Eureka, California before we were married for a friends’ wedding. We enjoyed seeing the Redwoods and the ocean! My husband and I revisit our first meal together on our first date at a little italian restaurant a few towns over. We love it. Would love to win and visit Monterey! I haven’t visited Monterey County but if I ever have the chance, I would love to go to the aquarium! Plus the pictures featured are beautiful! I am a California native but have never had the pleasure of visiting Monterey. This looks amazing!! Awww, so sweet! One more place to add to my travel bucket list! What a wonderful post! I can definitely see how you cemented your relationship and I would enjoy sharing this same experience, if I win! I love to go to Monterey Bay! It is so much fun to go to the beach and also to the aquarium. Good Golly Miss Molly. Luv to see Monterey Bay. I must visit the museum & the park. I have always wanted to go see Monterey Bay . I heard it is beautiful there. My childhood dream to see it since. I need the trip to have fun and feel alive and inspired again. A life changing experience. Top of my bucket list. That’s such a sweet post about Monterey. It’s a great place with good food and breathtaking sights! I would love to take my girls here someday! Enjoyed the story. Love Monterey California, the Pacific Coast Highway. I have a step-daughter who lives there so would LOVE to win the weekend there. We enjoy the aquarium and the wharf. It’s been so long since we have been there. I’ve always wanted to check out Monterey! It must’ve been beautiful to see all these places. I’d love a picnic by the beach, followed by views from historic streets. I’ve never been there but it looks amazing. I would love to take my family there. We have a lake in NJ that’s particularly special to us. Yes, I have visited Monterey County. We went on some great adventures in and through Big Sur, then drove north, up the coast. If I ever come into significant money, I’d like to live in Big Sur someday. It’s one of most magical place on earth! This Place looks so Amazing! I would love to go there someday. I have never been, but I would love to visit Big Sur. It looks beautiful! Beautiful. Would love to go. I love Monterey County. I was recently there house sitting in Pacific Grove and discovered Patisserie Bechler. I want to go back and try one of everything they make. I understand their items are so popular, you need to get there in the morning before they sell out. My husband played Golf at the Pacific Grove Golf Course and I rode around and enjoyed the views. I haven’t been to Big Sur but will go to the Big Sur Inn & sit in those chairs in the river. I would like to go back & visit the aquarium & eat at Il Fornaio in Carmel-by-the-sea. But most of all I want to go back to The Refuge for a day in their outdoor hot , cool pools & get a massage. I might go in November when the Monarchs are there. I’ve never been to Monterey but I’ve heard about it through a family friend. It’s actually on our bucket list for places to visit. I have been to Montery several times and would love to go back! I would love to visit Monterey County. I know my husband and I would have a great time in such a beautiful place. I really learned a lot about Monterey today! I’m putting this one on my bucket list. Enjoyed the story. Love Monterey California, the Pacific Coast Highway. I would LOVE to win the weekend there. We enjoy the aquarium and the wharf. It’s been so long since we have been there. I love Monterey! the food, wine, and the area is beautiful! I swear I commented, but I cannot find it! Monterey looks beautiful and I hear the aquarium is fantastic. We would enjoy any of the areas there!! My son went to the language school in Monterrey too about 10 years ago. We went to Monterrey for his graduation and took my mother in law to the aquarium. I still remember it. Also visited Carmel. very memorable trip. My husband and I have a special meal we relive, it’s crab cakes and remoulade sauce with champagne! This would be a great trip. My parents went before I was born, in the 1940’s! I’ve never been to Monterey and would love to check out the local vineyards and the aquarium. It looks like it has so much natural beauty that I would love to explore. My boyfriend and I love travelling together. We’ve been to 5 countries together already and each time we plan a trip in advance and so much detail. We enjoy discovering new places and cultures and it would be incredible to travel around this region. I HAVE NOT BEEN TO MONTEREY BUT WOULD LOVE TO GO TO THE AQUARIUM! Monterey definitely sounds like my kind of place! My husband and I just came back from Greece where we spent an idyllic vacation in a little seaside village called Marathopoli. Every day we gazed at the sun setting on Proti island while eating on the seafront, grilled octopus, grilled lobster, grilled sardines, grilled anything! The days were spent either ext stop, Monterey?visiting temples of Ancient Greece, navigating thru herds of goats on the highway or spending hours on a deserted little beach, sunbathing and swimming in the sea. I visited Monterey many, many years ago (35 years! where did time go?) I remember how gloriously beautiful it was and having some great meals 🙂 I would love to go again. I would love to go to Monterey! I visited Monterey with my wife and child and we visited the Monterey Aquarium and saw the Sea Otters. My wife and I have a special spot at the Del Coronado Hotel, and we love to eat swordfish! I have been before, and they have great food, a great history, and a wonderful aquarium. When i was a small girl my father took me to Big Sur on a weekend trip. I really don’t remember much of the trip except the site of the ocean on our way there from San Pedro. I would love to re-visit it again now that i am older and can appreciate the sites and food . My life partner and I had our first date at a lovely park in the middle of the Arkansas River . I knew from that first date that I never wanted to be with anyone else. . Our favorite meal that we like to have is rather boring but my sweet man is not much for trying new food . But a nice Ribeye will get him happy everytime. Looks like you had an amaznig sea food eating adventure. I really want t try these Montreal specialties. Looks like such a fun and interesting place to visit. I would love to add it to my bucket list! We visited Monterey many times when we lived in the Bay Area over 30 years ago. My favorite trip there was when our kids were little and we took them kayaking on Bay. We got to see the sea otters and seals up close. We looked into the top of the kelp forest and felt like we had a real adventure. It is one of the most beautiful places on earth. The food looks sooooo good to try in such a beautiful breathtaking background. The animals and sea life would be a dream come true to see. I have never been there and winning a trip would be a real chance on a Missouri girl getting to see it. I’ve never been there but the first place I would go to would be the aquarium. Yes, iv’e been to Monterey County many times, i grew up in Fresno, California. The things i enjoyed the most where visiting the aquarium and the fishing and of course the food surrounding the area, just the best in the world. I miss that area, it’s been 25 years since iv’e been there. I hope to experience the area again some day. Thank you for an opportunity to do just that. I really like the choice of photos. They make me want to visit the area. Monterrey Sounds great! When is the best time of year to go? I live in Florida and would like to plan a trip to Monterrey with my girlfriend for next year. Our work schedules are flexible, but would like to know the best time to go. I’ve only visited Monterey once, as a pass through on my way to somewhere else. We visited the aquarium. It would be so nice to have a couple of days to explore the area! The Sir River looks lovely! I would love an opportunity to go and see the scenery with my significant other. So PICK ME! Awesome post! I’ve never been to Monterey but it look beautiful! I have not been to Monterey County yet. From your pics it looks beautiful. I would really like to see Big Sur myself one day even though it’s a bit away from Monterey County. A special location that my spouse and I visited was Maui, Hawaii. While we don’t have a special meal that we try to relive, we do love making the same recipes over and over like chili, stew, tacos… lol I know, so romantic. looks amazing! Would love to have the opportunity to visit! When I was really little, like 5 or 6, we lived 3 hours away from the Monterey Aquarium. We went once because driving with two younguns for three hours was not something my parents wanted to do more than once. When we went, they had this GINORMOUS sunfish. It was the biggest fish I had ever seen. Looking back, it might not have been as huge, but it looked like it could swallow me whole. To this day, that is one of those “wow” moments I look back on. And I would love to see what the tank looks like now. Great post, Andi! I’ve been to Monterey a few times and one of my favorite attractions has always been the Monterey Bay Aquarium! I just love the otters! However, I must admit I haven’t been in a long time. Funnily enough, my boyfriend and I were just talking about doing a weekend get-away to Monterey. We even were looking at staying at the Monterey Tides! This post definitely gave me some great ideas for our trip. I’m a huge fan of ciopinno,so I’ll definitely be making a stop to Phil’ Fish Market. I’ve also never done the 17-mile drive, which my bf has mentioned quite a few times. Sounds like I need to do it! Thanks for all the great tips! Anywhere my fiance and I visit we always go to the aquarium! Since we haven’t been to Monterey, the aquarium would be the highlight of the trip! Love Monterey County! One of our favorite things to do is an early morning walk along the beach with coffee before starting the day. Such a relaxing way to start the day! I’ve never been to California, I think this looks like a very romantic trip,and I’d love to win !!! I have only been to Monterey briefly – too briefly. We need to get back soon. I have never been but Monterey has always been on my list to visit! I would love to see the surf pounding onto shore , especially while watching a beautiful sunset! The food, the wine…it would all be fantastic!! We love to go back and visit Jerome, Arizona. It was where we went on our first date/ road trip. He and the view never fail to take my breath away! We went to Monterey as part of an excursion in 2011 and I proposed to my now wife on the beach at Carmel, a holiday we’all never forget. It would be great to go back this time with the kids to see where mummy and daddy sealed the deal! I have been to Monterey County many times in my life. My favorite thing to do is to sit at the beach and enjoy life! I’ve never been to Monterey County before, but my parents have. They told me we must go to the Aquarium. I know we def want to go their and maybe scuba dive their now that we just got certified. A special location I’ve visited with my significant other is Temecula Wine County, We went and visited a local wine grove and went to a class that showed how they make wine. It was actually very fun and romantic. We were able to pair the different wines they made with their cheeses. My significant other and I had a meal in Laguna Beach that were half a mile from out hotel. They had the best tacos! The most expensive tacos (but the best) The restaurant was called Las Brisas. Would love to try some great tacos and wine at Monterey County. Me and my best friend enjoy hot boiled shrimp and Ice cold drinks. Absolutely breathtaking! I would love to win this trip! this would be a nice relaxing and fun getaway. My sister-in-law lives here and it is the most beautiful place I have visited in a while! I would love to get there some day!! I have never been to Monterey County but would really like to see the sites and smell the beach! We have many great memories of visiting the Monterrey Bay Aquarium. I’ve never been to Monterey, but I’d love to visit a vineyard! When my husband and I were dating 41yrs ago he took me to Dino’s , a pizza restaurant. When we moved to another state we began looking for another pizza place like the first one . So far we have not found it . My wife and I visited Sedona, AZ when we first started dating. What beautiful scenery. Amazing part of the southwest. My wife and I visited Sedona, AZ. What beautiful country. Simply amazing. 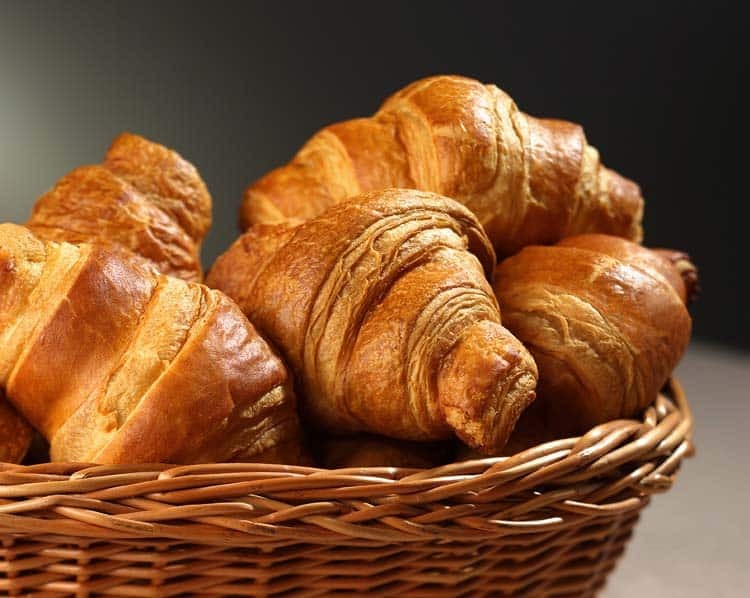 Never been and I am not a massive sea food fan but the croissants would be amazing and I would love to visit the beach. The bottom picture looks amazing! I have never had the opportunity to visit! It looks absolutely amazing and I think we would really enjoy the aquarium. I have never been but I would LOVE to! 17 mile drive looks amazing!!! I have you been to Monterey County and i loved all the ships on the warf and watching the gorgeous water while eating taffy. I used to go to bodega bay with my boyfriend it was so romantic. We visited Monteray for one day back in the mid nineties with our kids, then aged 7 and 8, they loved all the Sealife, and we enjoyed a lovely Fish Dinner in one of the many outstanding eateries, it was both relaxing, informative and fun and I’d love to return as ther is so much to see and do. 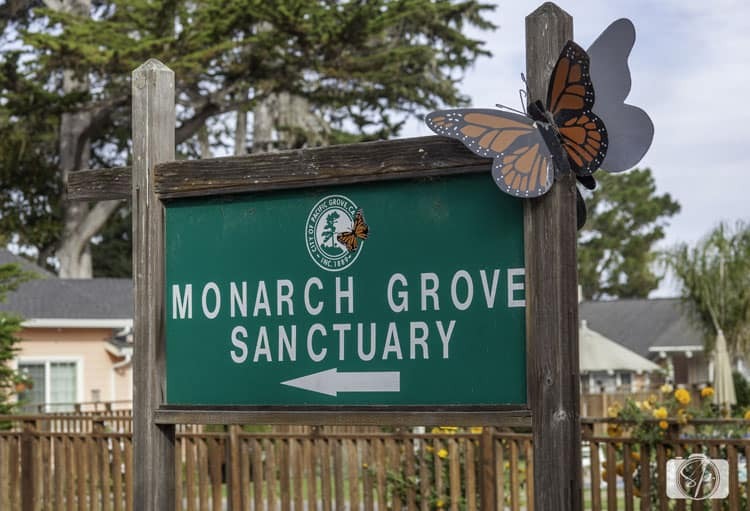 I would love to visit the Monarch Grove Sanctuary, it looks an amazing place. My husband, who is 65 this year deserves a treat and he would truly love all of the different experiences Monterey County has to offer. I’ve never been, but driving along Highway 1 and taking in the views sounds heavenly. I have never been to Monterey but you make the Big Sur area sound fantastic! My now fiancé took me to Swansea pier on our first date so that is a special place for us. He arrived with chocolate eclairs and a bottle of Eisberg wine so they always make me smile to remember how we started out. Ours was a slow burn romance, as he was my car mechanic for 12 years before we started dating as we both were carers for sick mothers and it was difficult to have a social life. My car broke down the week my mother died and Don offered to drive me to the hospital that last day and I like to think it was my Mother giving me her blessing to start a life with him. We have now been going out for 10 years and engaged for two. I would love to visit!! I especially love the idea of the butterfly sanctuary! I brought my wife to Monterey for our fifth wedding anniversary. She loved the aquarium (we are kids at heart) as well as the sweet atmosphere. I haven’t visited Monterey coast, I really want to! It looks gorgeous. My husband and I like to revisit where we got married, a hotel in Indiana, its really relaxing. I have friends that moved to Monterey and I haven’t seen them in 5 years! This would be awesome! I haven’t been and I need to judging by all those fresh fish platters which look plentiful and readily available. Aww, the Aquarium seems fun! I love the picture of the otter. I don’t think I have ever been to Monterey county! We have gone on several roadtrips along the west coast though! It is beautiful! I would love to go to the rooftop bar! I would love to visit Doris Day’s hote in Carmel and stay a night or two there. It’s a hotel for dogs and their owners so it would be quite an interesting experience!!! Great post! We have been thinking about visiting Monterey and loved learning about all the fun things to do in the area. I’ve been to Monterey once and was so impressed by how lovely and peaceful it was! I certainly would love to return! We visited the acquariam , stayed at a B&B and wandered about! Love to return and explore some more! Thanks so much! Twice I have had the opportunity to attend a conference on the grounds at Asilomar in the Monterey area. MAGICAL. I’ve wanted to go back ever since. *side note, the conference was terrible the first year, even worse the second year but we didn’t care because it was ASILOMAR, and walking distance to the beach and the Fishwife restaurant which I highly recommend. wow-love too go .Great restaurants. I haven’t been to Monterey, but I would love to. I would like to do scuba diving. My boyfriend and I were in Valiko Tarnovo, Bulgaria, which is a really beautiful small city. We find the vegan spinach lasagna with pumpkin sauce great and I cook it from time to time. I haven’t been there before! The last picture of the beach is absolutely beautiful. And who doesn’t like going to try out some new restaurants?? My partner and I had some of the best seafood when we were in Iceland. So far nothing has compared but we are dying to find new options that are just as fresh as when we were out there. Perhaps it exists in Monterey!! I love Monterey–it will always have a special place in my heart My husband and I fell in love while watching the otters at the aquarium! I haven’t been yet. it all looks enchanting but especially the Big Sur. Magical!! Haven’t been, would like to visit the aquarium. A special spot with my wife is in the Carpathian mountains at 2000m altitude. Don’t have a special meal. i have never been to Monterey but it looks amazing! I lived there for 2 years in the early 1980s. Would love to go back to see how it’s changed. Ive never gotten the chance to visit. It looks like it has a lot to explore. Thanks for sharing with us. I’ve been to Monterrey just once for a day trip when we visited San Francisco. I would love to go back and scratch the surface a little more. What a lovely place! I have been several years ago. I love the rocks and the seals – such an inspiring place full of sealife and adventure and nature. Thank you so much for this guide, and we look forward to exploring Monterey more, especially now that we have some tips and highlights. We have not spent much time there as of yet, but since our youngest goes to UCSC we will be driving through there much more regularly, so this is great incentive to stop and spend a bit of time!! I went through Monterey once, and have always wanted to return. It’s a wonderful mix of culture and nature! Have not been to Monterey County, but it’s on our bucket list. Heard it is absolutely stunning. We are foodies and wine lovers so even better! I have yet to visit anywhere in California, but I’ve always wanted to see the sea lions up close! I’ve never been to Monterrey, but your blog post is getting my excited at the possibility! I love Monterey. It is peaceful and calm and a great getaway! What a DREAM! Please put me in the magic hat! Love to visit the beaches. They look wonderful. Never been but looks so so nice. I have never been there but it looks wonderful. I’m planning over next vacation now and this place is on the list. Wow, how beautiful!!! California has the loveliest beaches in the country! I can’t say I prefer it to Washington State, but it’s an incredible and inimitable place. I’m sure that Monterey is gorgeous! I have been to Monterey County and love all of it! Me and my husband love to walk the wharf and have clam chowder in a bread bowl, visiting the aquarium, walking the beach and walking in the different shops. Thanks for the chance to go back! I have visited Monterey County before and love walking the wharf and enjoying clam chowder in a bread bowl. Thanks for the chance to go back! I forgot to mention in my last comment that the place I would most like to visit is FISHERMAN’S WHARF so I could see the whales! Never been to the States but would love to! I’ve been, and can’t wait to go back. I’ve never been, but I’d particularly like to see the Aquarium! I have been to Monterey before and loved it. I love visiting the aquarium and walking around Cannery Row. I’ve never been to this part of California. Always wanted to see the aquarium! I went to Monterey County a few years back with my boyfriend for a quick trip along the coast down to San Diego. I would love to go back and go to the Aquarium- I hear it is legendary and love places like that! I would love to visit Phil’s Fish Market, its making me hungry looking at it!! I’d love to go back to Monteray – see the otters again – and re-visit the aqauruim. 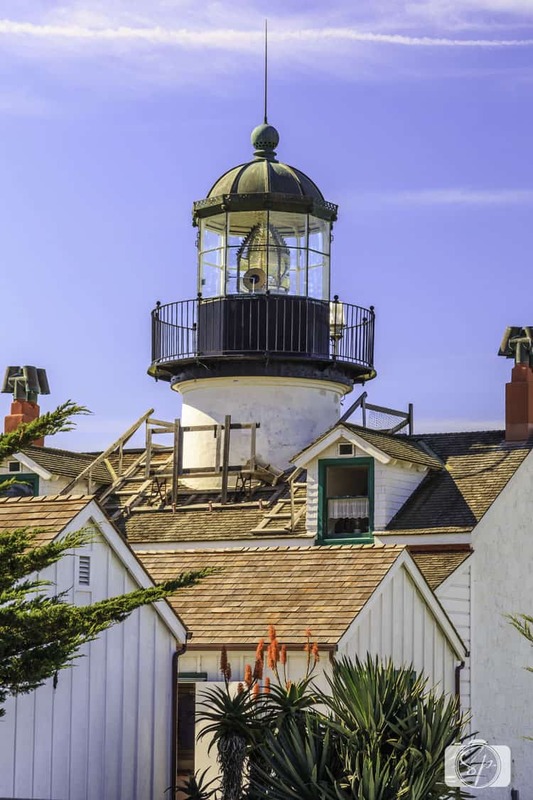 I stayed in the half moon bay – in an old lighthouse- I’d love to go back. I’ve always wanted to go to Monterey. What a beautiful town! I have a new love and we’re looking for a beautiful place to go. I think we’ve found it! So pretty. I want to take my girlfriend here. Yes, I have. Loved the drive down to Big Sur. My wife and I moved to California a few years ago, but haven’t had a chance to visit Monterey yet. The Monterey Aquarium is high on our list! It has always been my dream to visit Monterey, wish we did when we lived in Cali. I’ve only been there once, and it’s beautiful. Would love to return and see the aquarium, we didn’t have enough time when we there there a few years ago. I’d love to go on a 2nd honeymoon with my husband. Wine tasting at some of the local wineries and the aquarium would be so much fun! No, I have not been to Monterey. I would love to go to the aquarium. I asked my wife to marry me in Monterey! Yes I have been and it never gets old. We just did our first adventure of whale watching but the hubby clinged to the sides of the boat and vomitted (extremely loud, mind you) for 2 1/2 hours of the 3 hour trip..a great place to eat is the Sardine Factory if you want Top Chef looking food, but tastes amazing and I love staying at the Portola Hotel & Spa, both which we did for our honeymoon. No, would love to go! Looks amazing would love to go and visit. This would be an amazing experience. I haven’t been to the Monterey Bay Aquarium in over 25 years! I’d love to share this adventure with my husband! My husband and I have a special place we love going in Idyllwild California,nestled up in the mountains, we love getting a cabin for a couple days every year for our anniversary on December 17th. This year a change would be outstanding,we have never been to Monterey before and it looks so beautiful. I would love the opportunity to visit. What a beautiful picture you paint with your words, I want to visit every place you mention. I think it would be cool to see the seals and monarchs. I have never been to Monterrey, and I can’t think of a special place or meal my husband I have. How sad, we need to create so new memories! I have never been to Monterey County but would love to visit the beaches and the aquarium! Oh what I would do to go back to Monterey County! I love the area and the magic that I feel when I’m there! Want to have that chance to bring that sense of romance that we experienced when we were last there! We have not been but would love to go! We love anything that is close to water and beaches. Any place like that were we can include tasty seafood, nature and some adult beverages! Love it! Looks and sounds like a wonderful place! 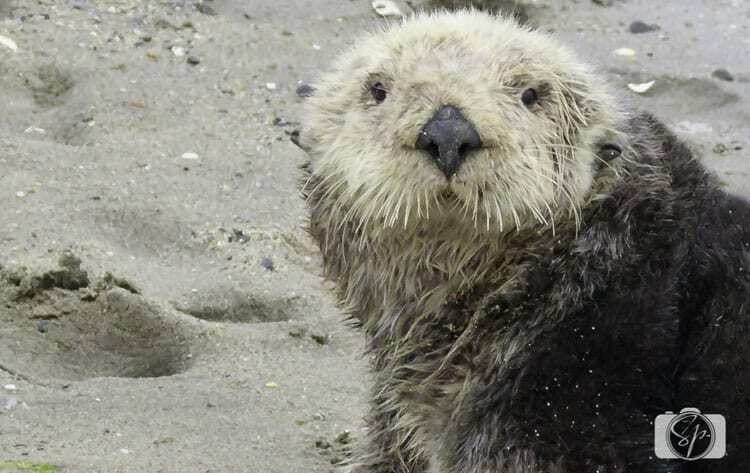 I want to see sea otters swimming in Monterey Bay Thanks for a chance to win this fabulous trip. The place looks really cool! I love Monterey County. Big Sur is gorgeous. Our favorite spot there is the view from the restaurant at Post Ranch Inn. Our favorite town in Monterey County is Carmel-by-the-Sea. We are obsessed with the food at Dametra. The Cheese Shop is the best place for cheese tasting (you even can take your cheese next door or across the street to any of the wine tasting rooms). What an awesome prize would love to win! This is awesome and looks like alot of fun. Seafood, the ocean, sea air, places to walk, it all sounds lovely! I adore Monterey, too! We moved to San Diego about ten years ago and have had so much fun exploring California. I took a girls’ weekend last year to Monterey with my best friend and just fell in love. Besides the stunning beaches and landscape, I loved the restaurants, shops and especially the Aquarium! The otters are just so much fun! I also really liked the people who live there. I found everyone to be warm and open. I would love to go back with my husband and daughter and show them the county I love! My family and I keep going back to Monterey. We are nature lovers and food lovers and just can’t get enough of the beauty and the wildlife. We always make a first stop at Moss Landing at Elkhorn Slough to go see the sea otters, on our way to Monterey. Its kind of our ritual. Our favorite meal happens to be cippino at Phil’s fish market….. yummm! In the summer we love to head to big sur and go down to the purple sand beach and check out a waterfall and the garnet sands. My son always spends hours digging in the sand and we can’t get him to leave. Sometimes we look for condors on the way down the road. My favorite spot in California is Point Lobos, the turquoise blue of the water in the lagoons and the scenery is breathtaking. We always spot loves of wildlife there too. My son and husband love to go down to Laguna Seca and take in the races and they make an annual father and son trip together every year and have a great time. My son’s other favorite place to visit is of course the amazing Monterey aquarium. We all love it! Next time I go, I would like to make it a girls weekend and check out the Refuge spa in Carmel, I hear its fabulous and I have been hoping to get there for awhile now. I think its time to plan our next trip to Monterey. What a great love story! We just returned home (like yesterday!) from the SF Bay area where we were visiting our son….this was our first trip from Pa to Cal. and we fell in love with all the natural beauty! We tried to make it to Monterey but time ran out…we said so many times that is where we are going first when we go back for another visit. We are actually starting to plan our next trip! Thank you! I would love to visit California; Monterey looks like such a nice location with great beaches and wildlife. I have always wanted to visit California and this trip would be perfect!!! A Mills and Boon moment. Amazing place. I would love to be able to take my husband there. This place looks and sounds absolutely stunning! Oh my, this looks so incredibly gorgeous!! I absolutely love* this area. I adore traveling and actually visited this area recently and fell completely in love with it. I am from Georgia and would love to go back! If I could take the 4.5 hour flight and get to stay in Monterey just 5 hours it would be worth it!! I hope I win! Wow what a fab remote little place, I use the word little though it certainly isn’t! Those prawns! though they’ll be called shrimp I suppose. This looks a fabulous isolated yet huge place where you could lose yourself in so many places. Please pick me. I haven’t been to Monterey County however I would like the opportunity to visit with someone special! The places that would be of particular interest would have to be Monterey Aquarium and Pacific Grove given the reviews I have read. Eating out and I guess some shopping would be definitely on the agenda. It would be our first time to the US western coast so this opportunity would be the perfect getaway for us! i HAVE NEVER BEEN THERE BUT WOULD BE SO HAPPY IF I HAVE THE CAHNCE TO GO THERE! I’ve never been. I’ve really enjoyed reading this lovely story I would very much like to visit at the time of the Artichoke Festival. What a wonderful article ! My father was there as a young man and never tired of regaling us with stories about it. I would drealy l;ove to win your giveaway. I love Big Sur – the view from the restaurant at Post Ranch Inn is breathtaking. My favorite town in Monterey County is Carmel-by-the-Sea. It’s cute, quaint, walkable, and has great shops and restaurants. My favorite place to eat there is Dametra – Mediterranean/Lebanese food. Also, the town has a lot of wine tasting rooms, and it’s fun to go into the Cheese Shop and taste a lot of different cheeses, then go next door and have wine. I love Monterey! I got married in Pacific Grove and my hubby and I plan to move back there eventually. I drove through Monterey decades ago. I was struck by how magically gorgeous the scenery was. I want to win this for my niece so that she can experience such beauty too. Wow I would love to take my girlfriend of nine years to Monterey and possibly be the location of our engagement from the photos. I would love to have lunch with her near the water on a nice sunny day, visit the beach, walk the town. I have never been to Monterey County, but it looks like a great place to vacation with my fiancé. We just had a romantic getaway to Sunset Key a few weeks ago. I have never been to Monterey, but would love to go. What beautiful scenery! Also the food yum. I have been to San Francisco but didn’t have a car or a way to get down to Monterey County. I would love to have a trip there. Thanks so much for the chance! I have never been to that area at all. I would so love to go. I would want to take a wine tour for sure. The possibilities are endless I can see. Thanks so much for your generosity. Oh yum, this looks like such a great destination, the food, the scenery, the things to do and see. Have you been to Monterey County? Yes. What was your favorite thing about your visit? The seals in the bay. @Kristin, it definitely counts! I love Pacific Grove! Me to have a same feeling after visiting the Monterey. I am also fallen in Love with this place. I have been there once only but I feel like staying for whole life. There are lot of things to do in there which can give you lot of memories to preserve for lifetime.